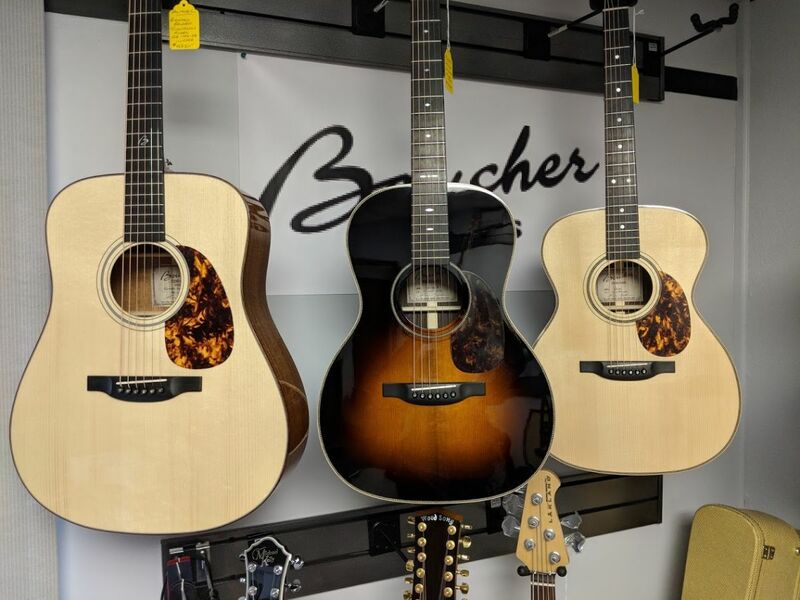 Note: If you live local… be sure to check in with us for our in-store special. 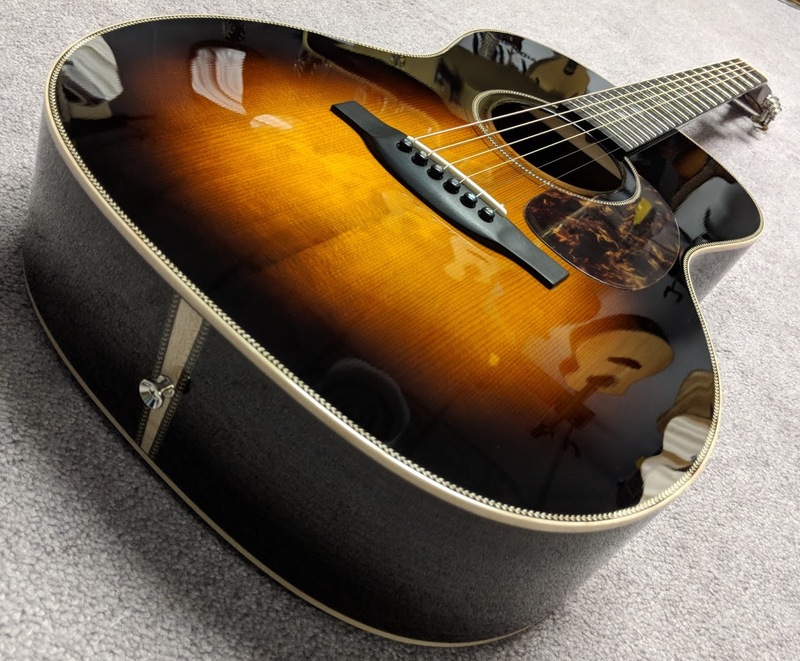 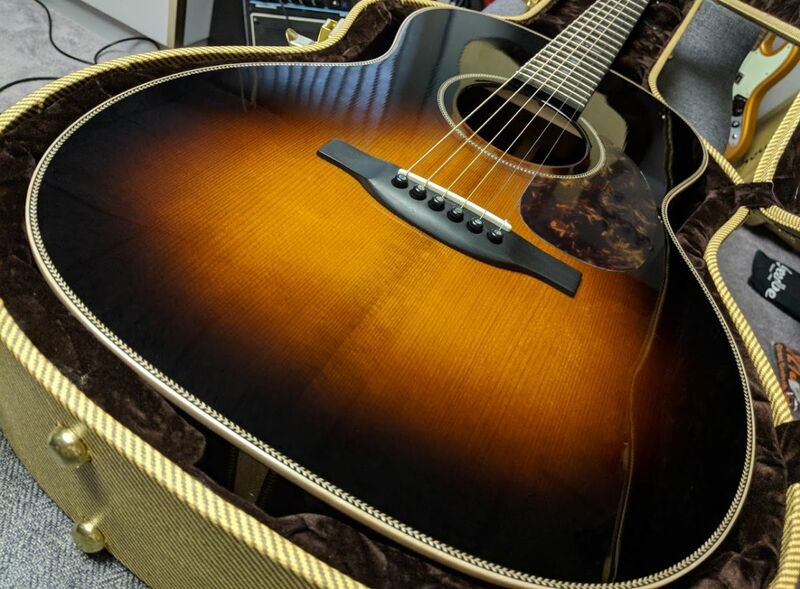 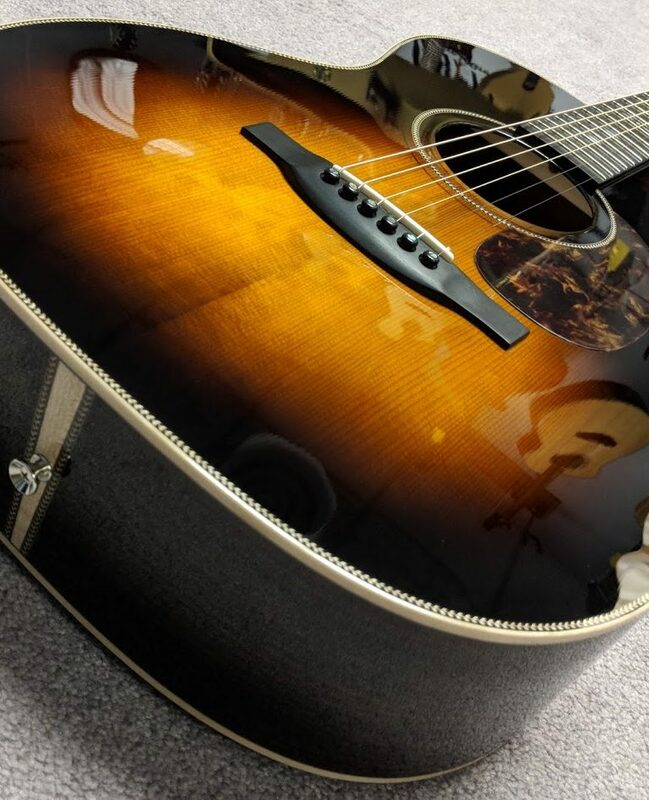 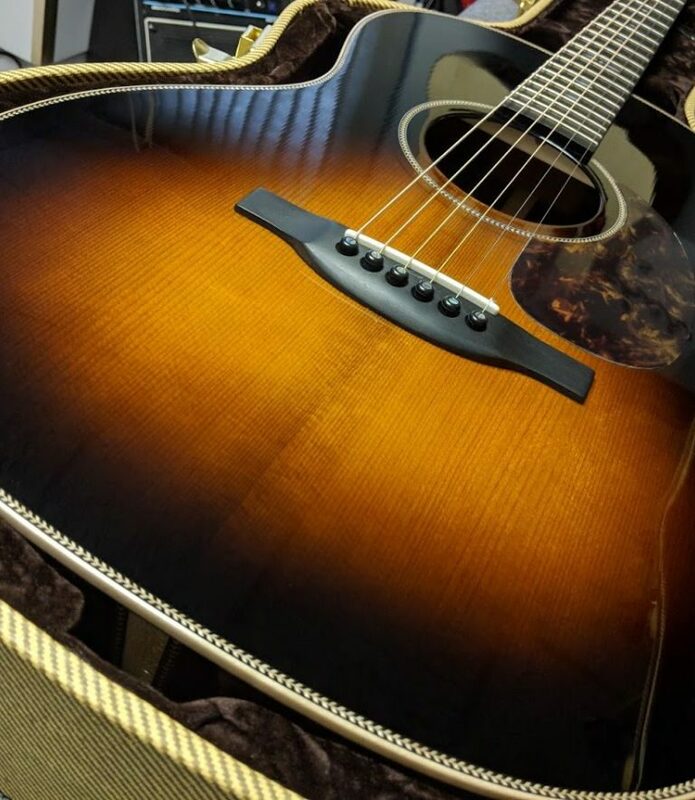 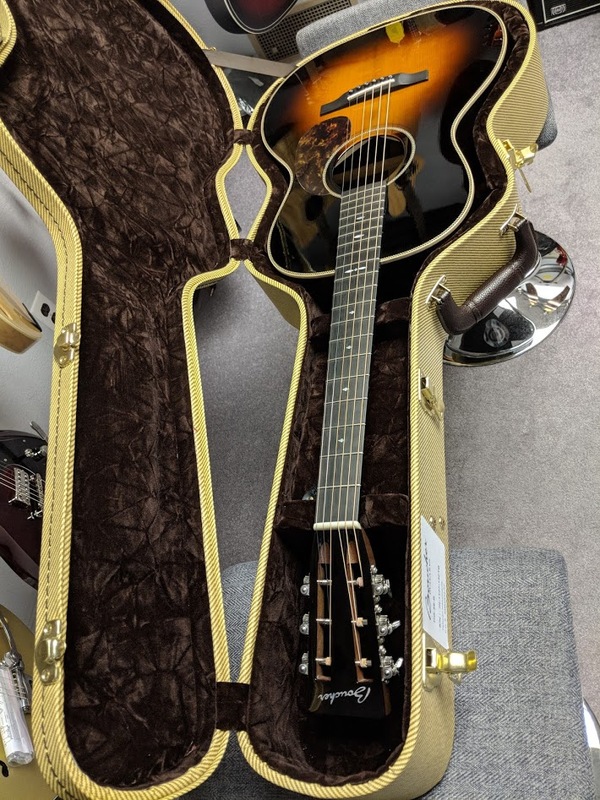 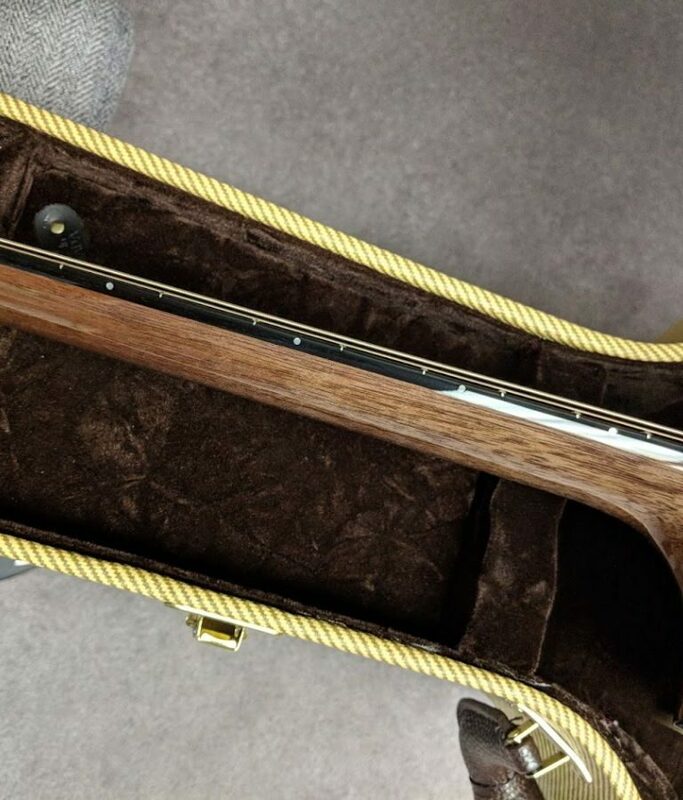 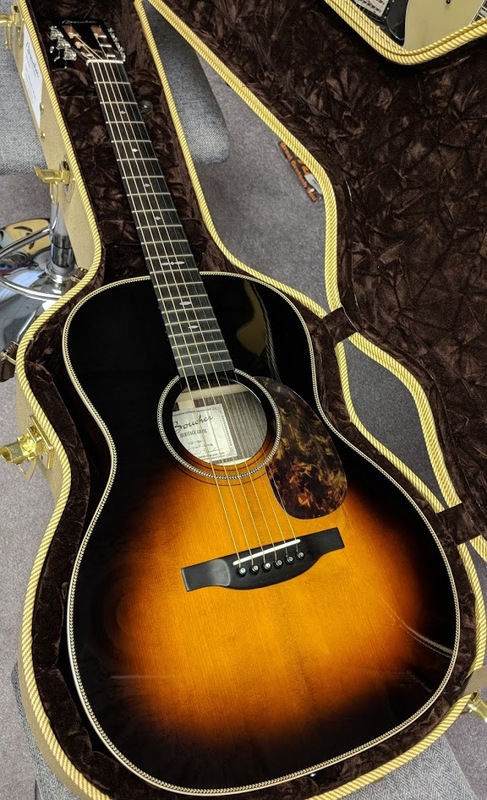 When I first lifted the lid of the case for this guitar… and got a look at the stunning sunburst top… it really was breath-taking. 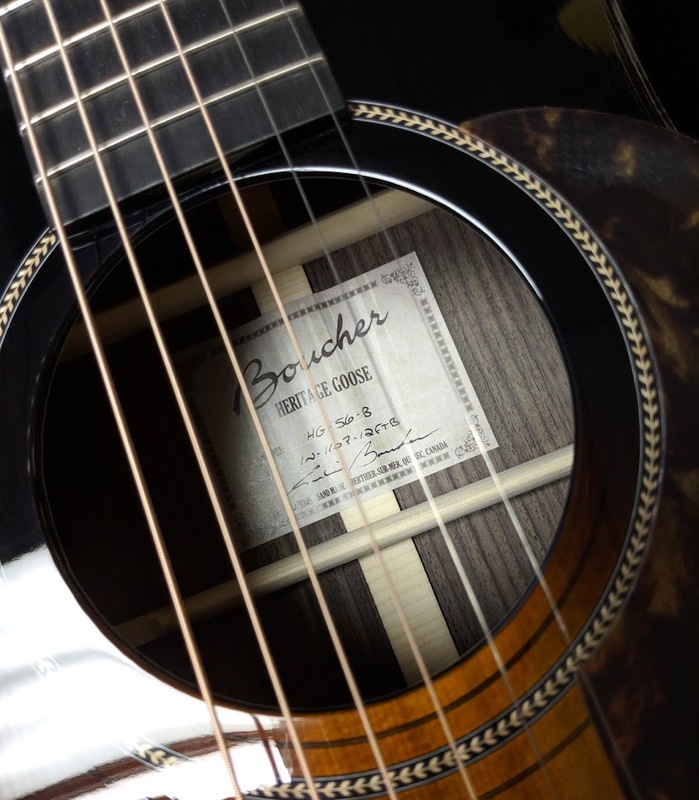 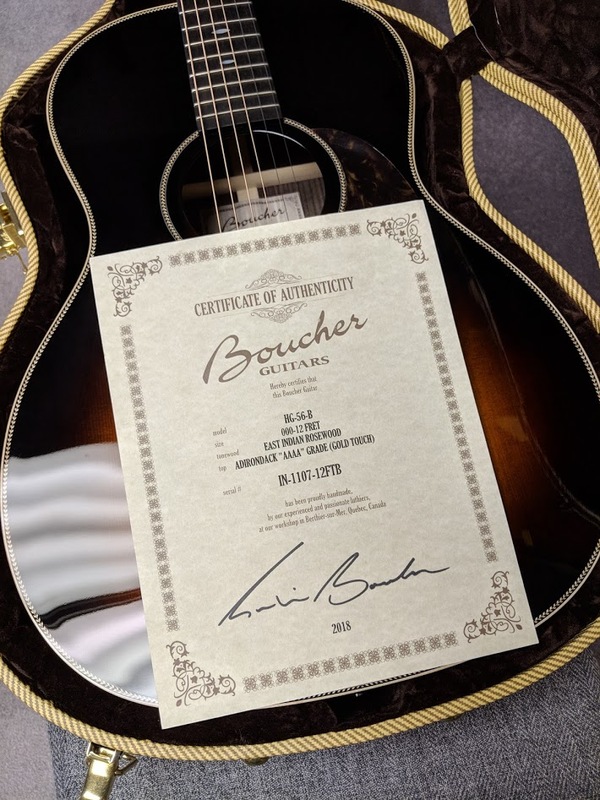 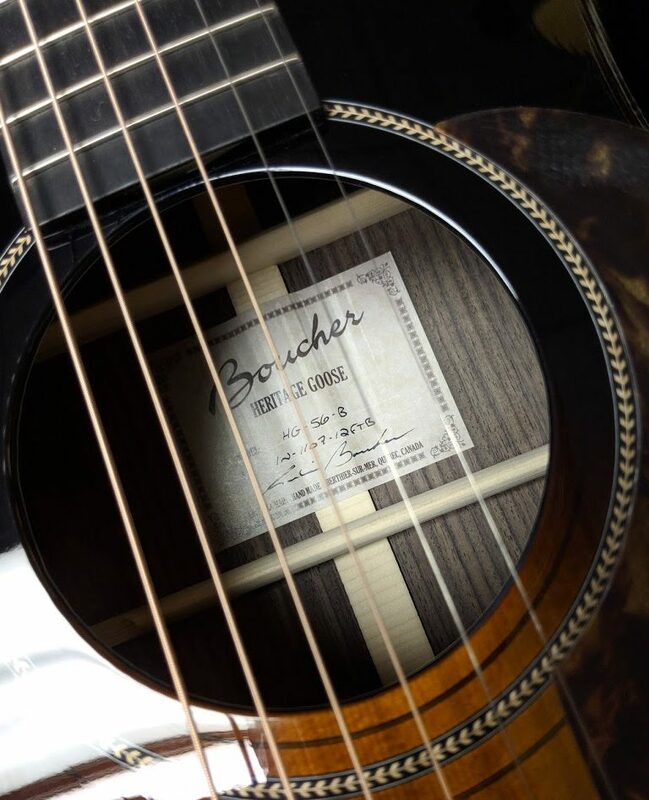 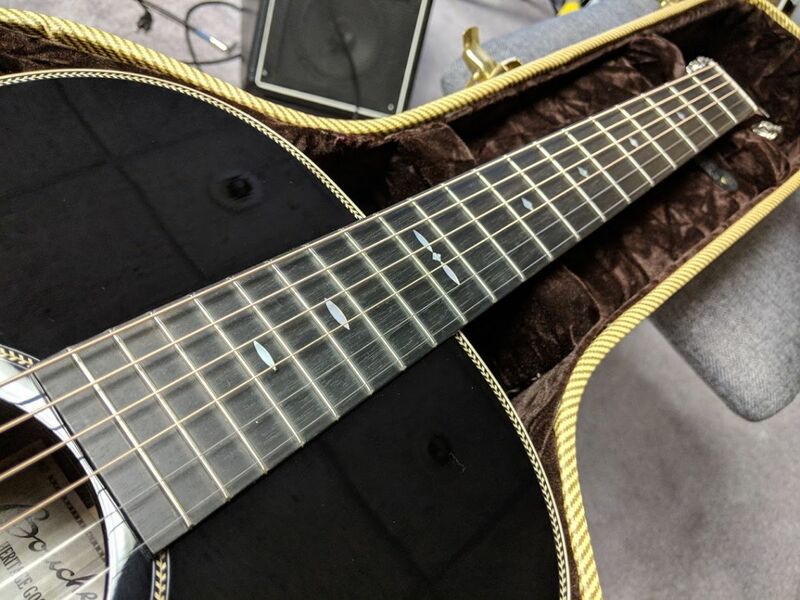 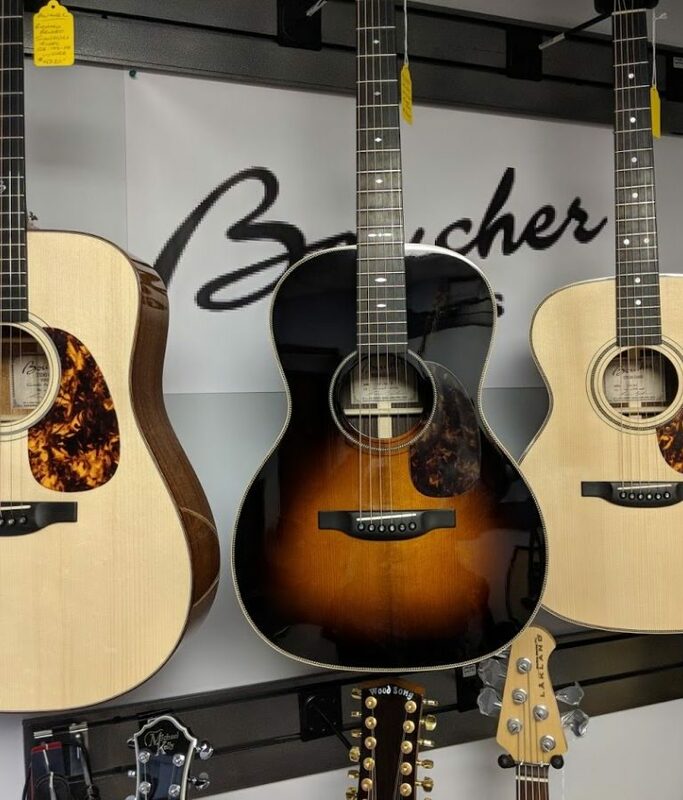 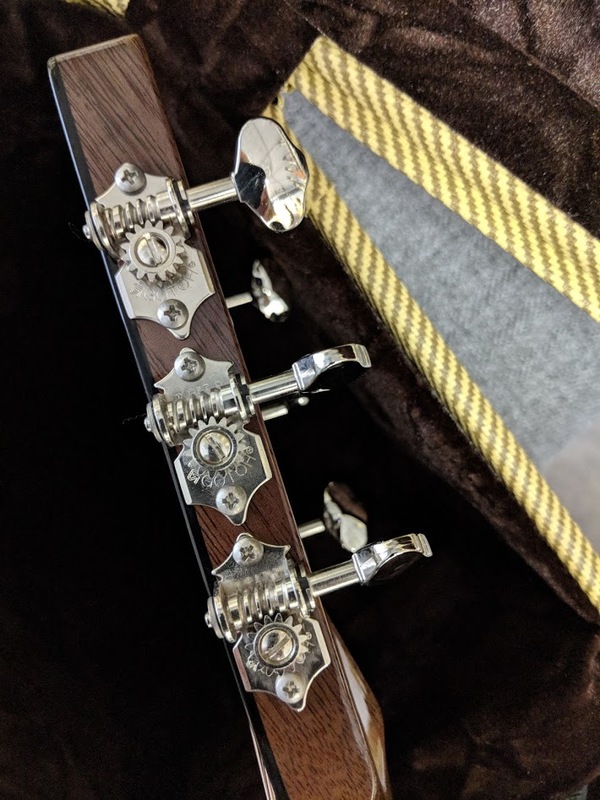 The quality of craftsmanship of this instrument just “emanates” through to your soul… and you make that intimate connection to what communicates to you sublime goodness. 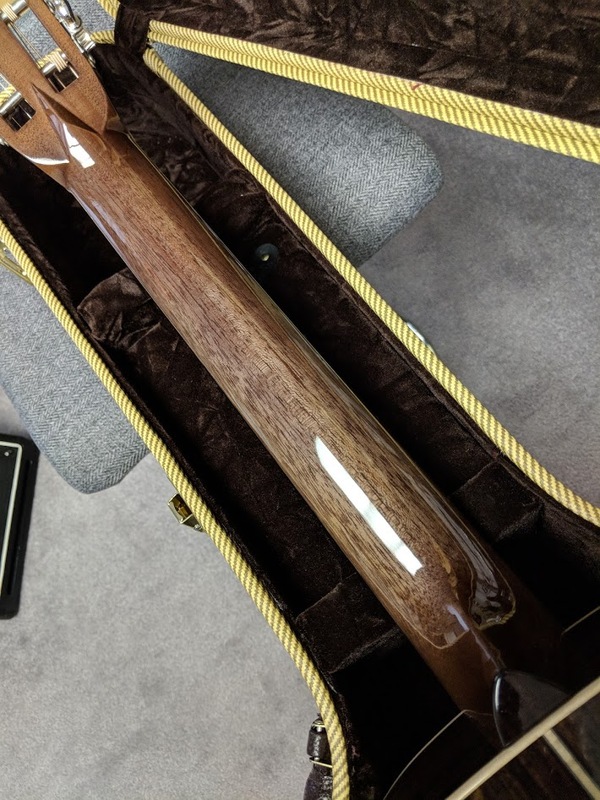 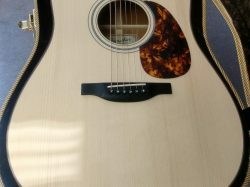 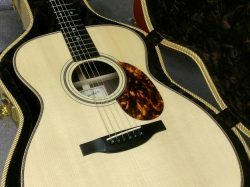 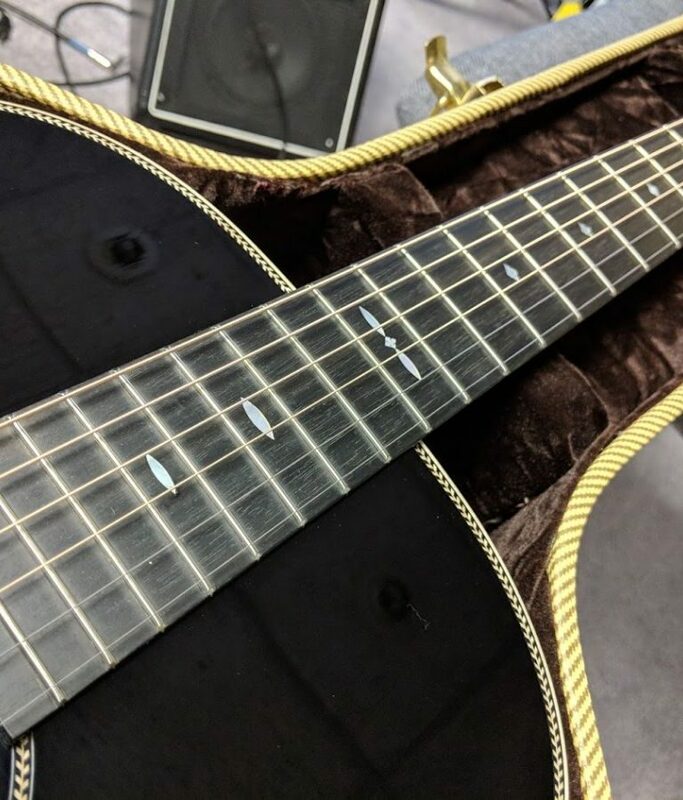 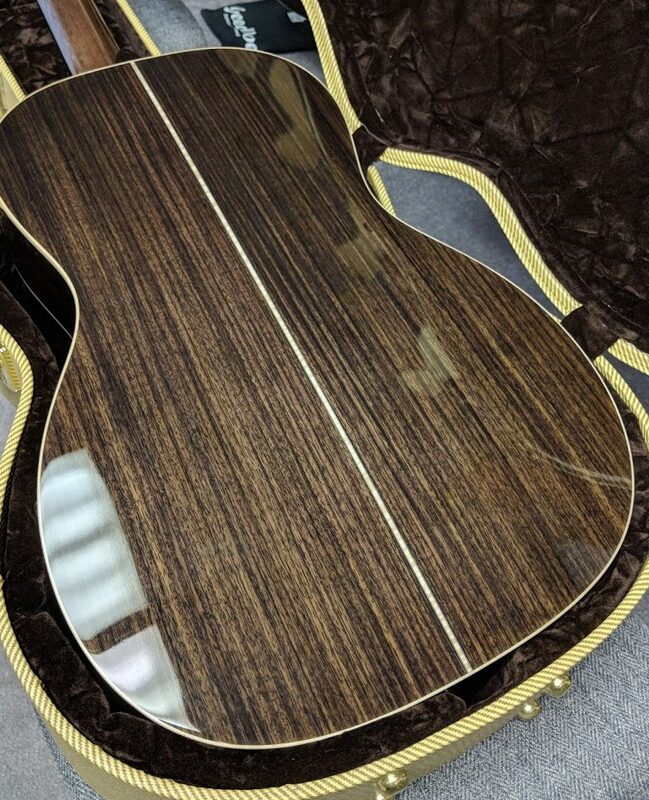 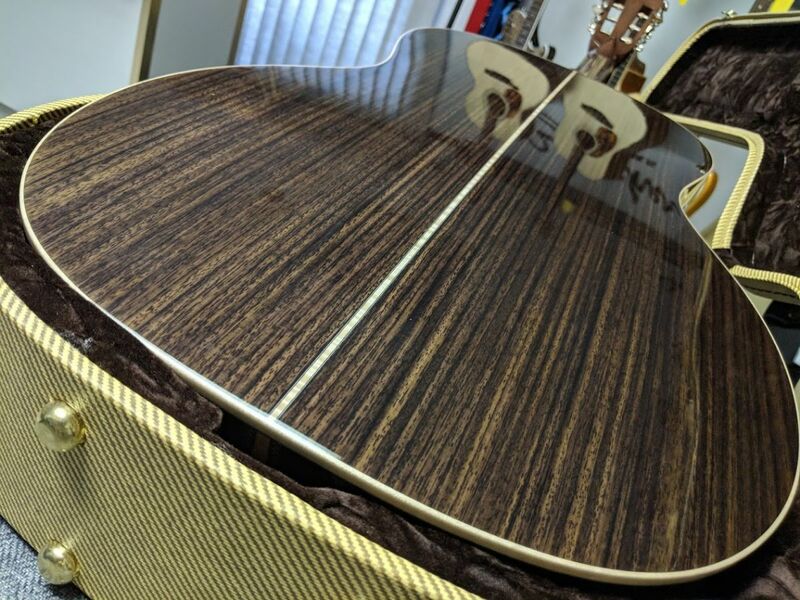 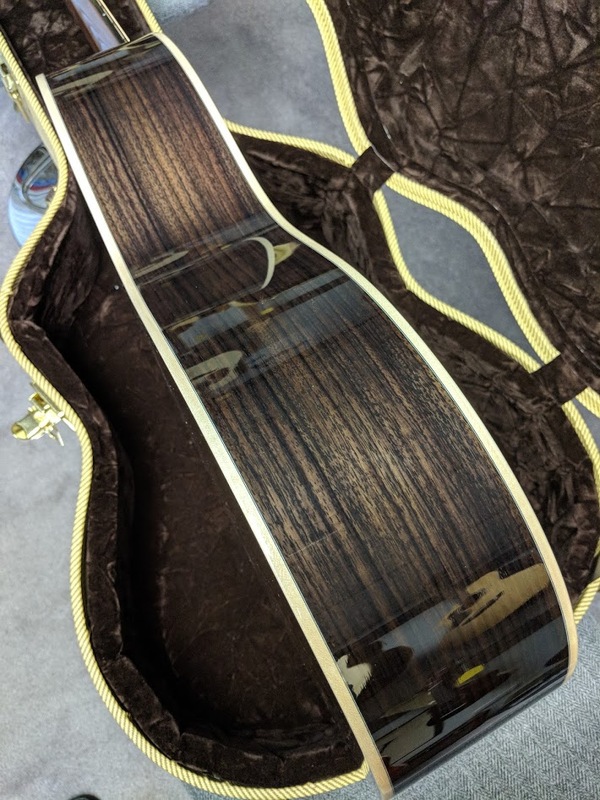 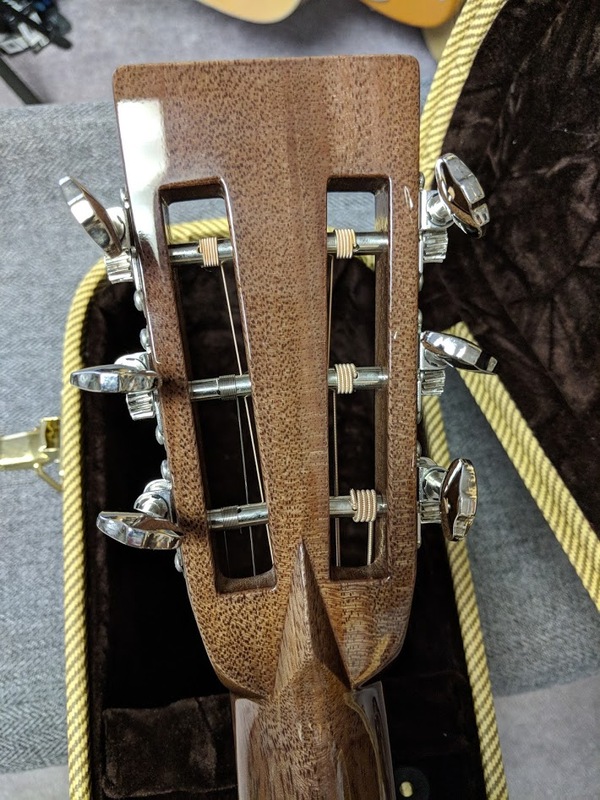 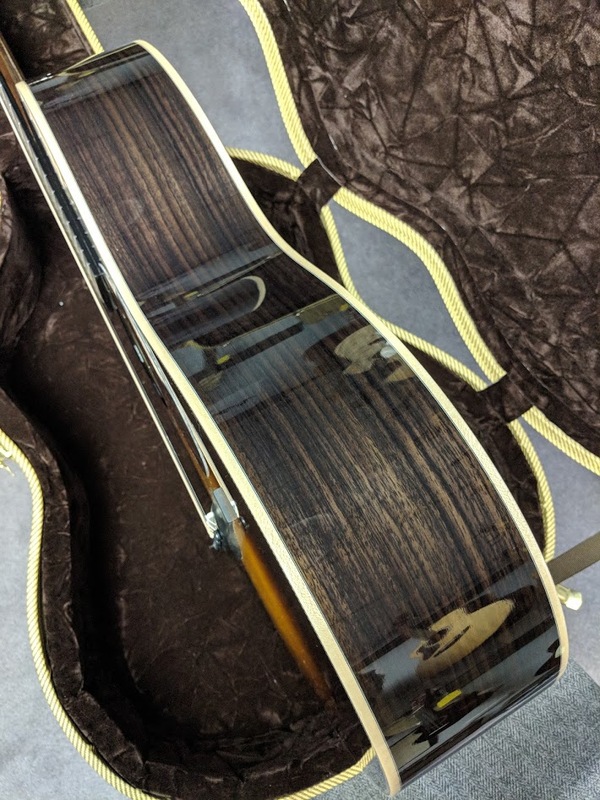 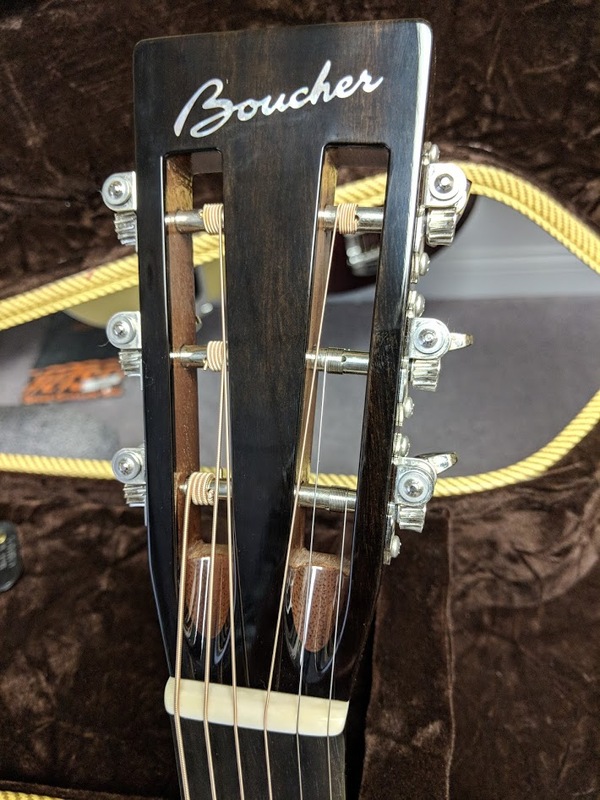 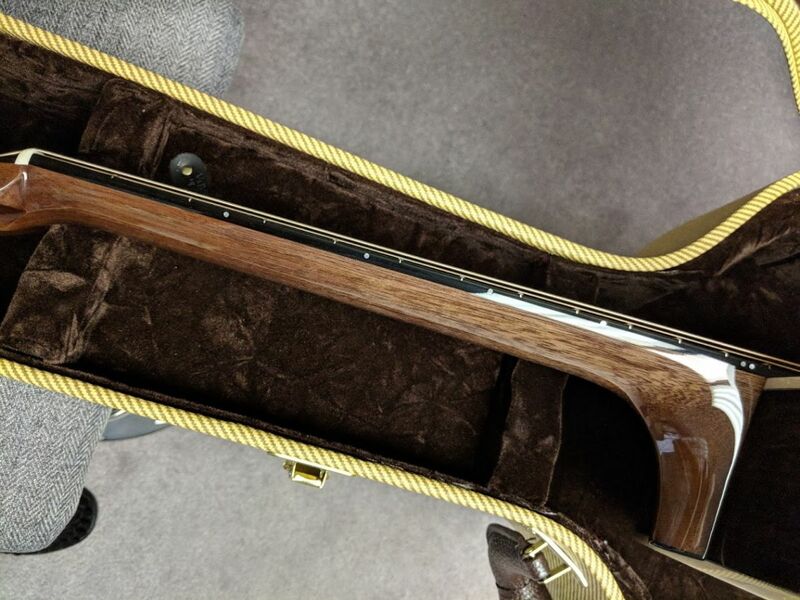 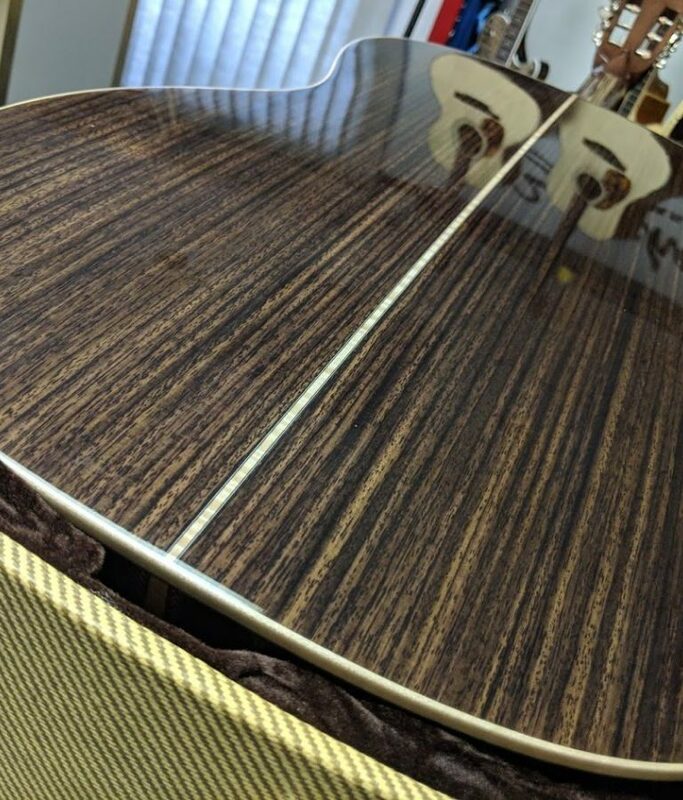 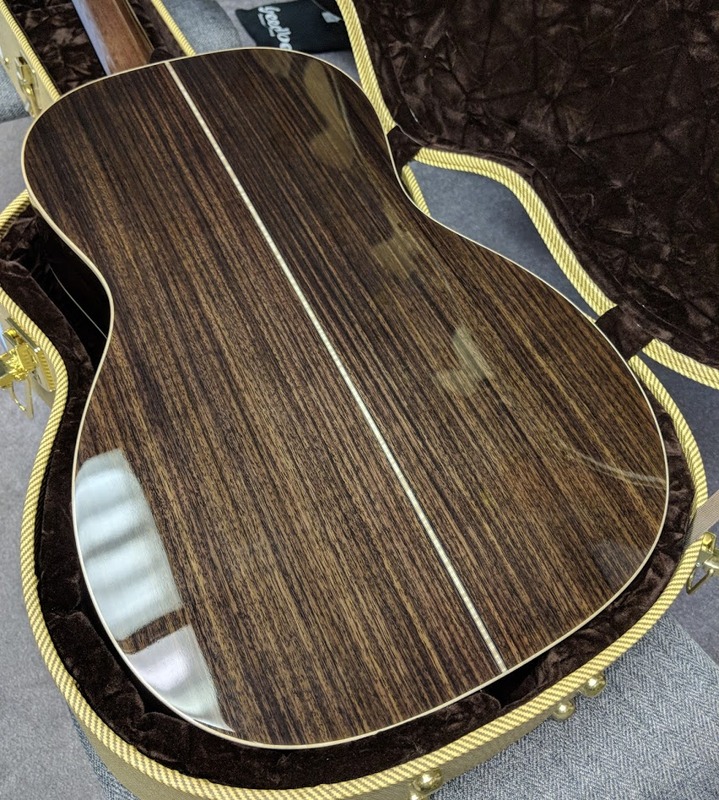 Take a moment to review the collection of the actual photos of this guitar… I do apologize for the reflections from this superb finish on this guitar… I try to minimize them as much as I can… but I assure you this guitar is absolutely perfect.